So you've started an online shop. Well done on taking the first step to your entrepreneurial dream! Now you need people to find you and buy your products. To help that we can of course optimise your site for search engines like Google (organic results) and we can also invest some money into Paid Ads. But, we realise that paid ads (in this case specifically Google Ads) are full of jargon, reports and various options. And it all gets very confusing very quickly and, if you're not sure what you're doing, potentially very expensive for little return. Google do have a very good 'Fundamentals' course on their Academy for Ads. We would highly recommend it if you would like to deep-dive in to AdWords. This resource, is not a replacement for their course but is a good start to help you on your journey to become an AdWords master. If you do have any specific needs that you are struggling with do let your PushCommerce Account Manager or Support team know and we can recommend some PPC (Pay-Per-Click) specialists who can assist you. Unless you have been living under a rock for the past decade or so you'll know what Paid adverts are and what they do. But for those rock dwellers who are just now seeing the light read on for an update. Google's network includes not only it's search engine but also YouTube, Blogger, GMail, Shopping, Maps, Play Store and numerous Partner sites and companies. The extent of their reach is frankly astounding (we're going to ignore Google+ here, just like the rest of the world). In fact, at the time of writing this there was roughly 1 trillion, 83 billion, 510 million (1,083,510,000,000) searches on Google so far this year; that's around five billion, nine-hundred and fifty-three million, three hundred and fifty-one thousand, six hundred and forty-eight (5,953,351,648) searches per day. So Why Bother with Ads? Paid ads allow you to be seen on relevant searches and if you reach even 0.001% of those 5.9 billion searches that's a potential reach of nearly 60,000 impressions of your advert! On top of being seen on Google's search engine, your advert could also be seen on partner sites like the NYTimes and numerous blog sites. This allows you to be seen by your customer at the right time, in the right place just when it matters most. Of course adverts can take a couple of forms, either text, image or video. Each ad type will be dependent upon what your product or service is and on which platform you're advertising on. You also need to take into account where your target customers are likely to be and what they're looking at. For example, if you sell tools, potential customers may want to see how they work and what they can do so video ads would be perfect. Similarly, if your selling art work or bouquets of flowers then image based ads would be a good call. CPA = Cost Per Action or Acquisition - where you pay per conversion of a visitor to your page/site. A conversion or action may be a new sign-up, download, purchase or other tracked action. CPC = Cost Per Click - does what it says on the tin; this is when you pay for each click of your advert. CPM = Cost Per Thousand - when you pay per thousand impressions (views of your ad) regardless of whether it was actually viewable on your customer/visitor's screen or not. Normally for image or video ads on partner sites or YouTube for example. vCPM = Cost Per Thousand Views - when you per thousand views of your ad e.g. when your ad is 'above the fold' and seen by a potential visitor/customer. CPV = Cost Per View/Interaction - normally for video ads and as you probably guessed, you pay per view or interaction. This is also used for Cost Per Visitor e.g. people who have seen, clicked and visited your site or page. CTR = Click-through-rate - the percentage of people who have clicked your ad after seeing it. ECPC = Enhanced Cost Per Click - an advanced semi-automatic bidding strategy. You got all that right? No? We'll cover this a bit more later on then. TargetCPA = Target Cost per Action - another advanced automatic bidding strategy to help you get as many conversions as possible at a target cost that you set. ROAS = Return On Ad Spend - literally a percentage of profit vs advertising spend. This is worked out as ROAS = (Profit - Cost) / Cost. ROI = Return on Investment - this uses the above formula but adds in things like the cost of the goods sold to work out a wider 'Return on Investment' figure. To work this one out you just need to do: (Profit-(Cost+Cost)) / (Cost+Cost). Enough maths for now, let's move on to some text based information. Understandably, Google approves all ads before they go live to their network and partners. The picture below gives some style, spelling and grammar points that if not taken in to account may lead to your ad being rejected or as Google calls it 'disapproved'. As well as the copy and style of your advert, you will also need to be wary of using trademarked names. If you want to do a comparison of a competitor or sell a trademarked product you need to read Google's advice on this. It's surprisingly clear and could save you a lot of time, effort and hassle. Keyword research, planning, implementation and adjusting could be it's own article - let us know if you'd like one - however, for this article we'll try and keep it to a brief overview. A keyword is the term for the word(s) that someone enters into Google's search bar which Google then uses to bring up relevant pages and content. These can be short-tail ("Gaming Laptop") or long-tail keywords ("MSI GT83 Titan 8RG Gaming Laptop") and will have varying degrees of Keyword Difficulty (KD), Cost per Click (CPC) and Volume of Traffic. 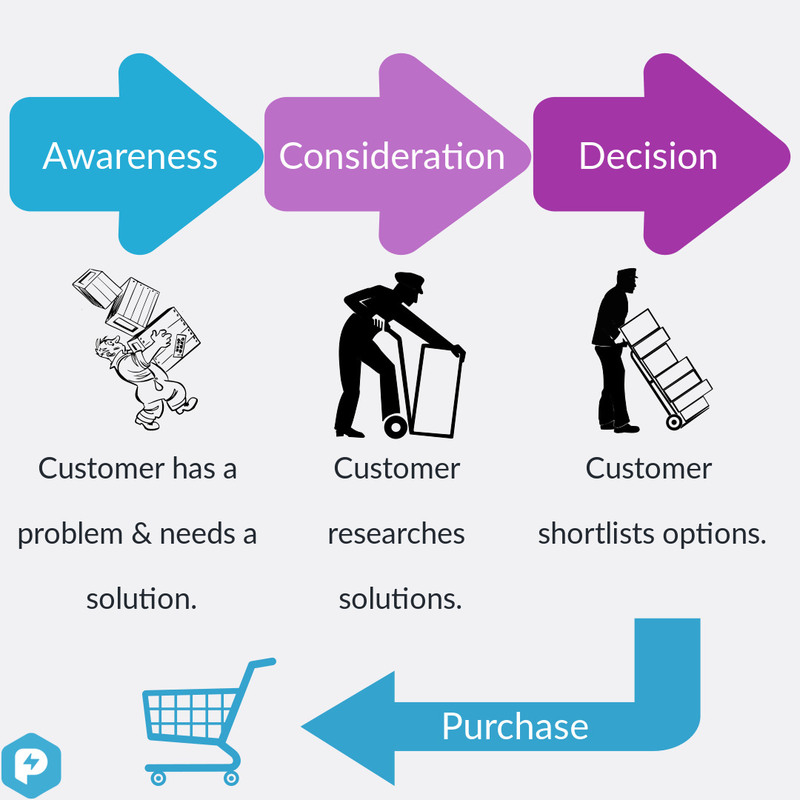 In addition, the keywords you choose will need to be aligned with the buyers point in the purchase cycle - Awareness, Consideration or Decision (more about this later). The not-so-big secret behind keyword research is to put yourself (or someone else) in your customer's shoes. What is the problem they are trying to solve? What would they be searching for at each stage of their buying cycle? How could you unobtrusively insert your adverts in to that cycle? Do you need new content to cover those keywords? What are your competitors writing about and can you write content around the same subjects? As your potential customer continues through their buying cycle the more likely they are to want specific information about products and the higher their intent to purchase. Remember, if you lose potential customers at the consideration or decision stage then we can start some remarketing and cart abandonment emails to bring them back around. Assess your product/offering, establish the journey the buyer will take, find the keywords, then build a set of campaigns and adverts around these. Is your brand or the brand of product well-known? If so, remember to add that in to the advert. Negative words can work in your favour. If you're receiving (and therefore paying for) traffic that through specific keywords that are not converting or are not relevant then mark them as 'Negative' keywords in your Ad groups. This will tell Google not to show your advert when that keyword is entered meaning you'll save money and spend it where you're more likely to convert visitors to customers. Google themselves have stated that multiple keywords should be targeted per advert. However, don't go mad! Keep the amount of keywords between 5 and 20 and don't worry about misspelling or plurals, Google does this automatically for you. Handy right! If your potential customers frequently visit an online forum, use a specific app, or particular website then get some content on your site about this; then utilise this keyword set in a new campaign. An example of this is for a Local Surfing Shop, their customers always use a 'Wave Check' site before they head out. It would be beneficial for the Surf Shop owners to build content around this Wave Check site and add a campaign to accompany this Awareness campaign. So which one's should you use? Ultimately, that's up to you. It depends on which part of the buying cycle you are targeting, if you're trying to raise awareness then the Broad and Broad Modifier should suffice where as a Decision stage campaign may need to use Exact keywords to bring in relevant traffic. The main point for match types is to test and see what works. Try out a Broad match for a two week period (minimum) and then add in a modifier if needed for another two weeks. See what the conversion rate is of both then adjust and amend. So your potential customer has clicked the link on your advert and has successfully navigated to your landing page. So far so good. However, you now have to keep them on the page and keep them engaged with your brand, product or service and convince them to complete the required action; buy, download, sign-up, etc. 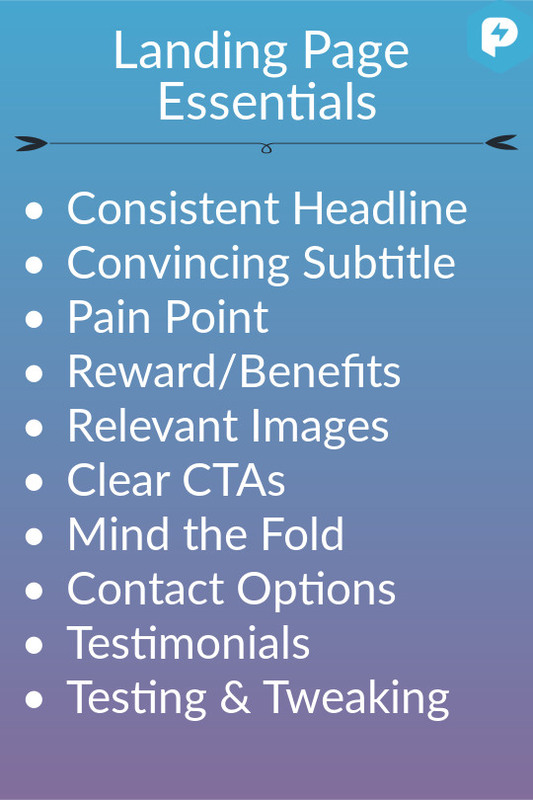 The copy on your landing page must also be relevant to your advert e.g. 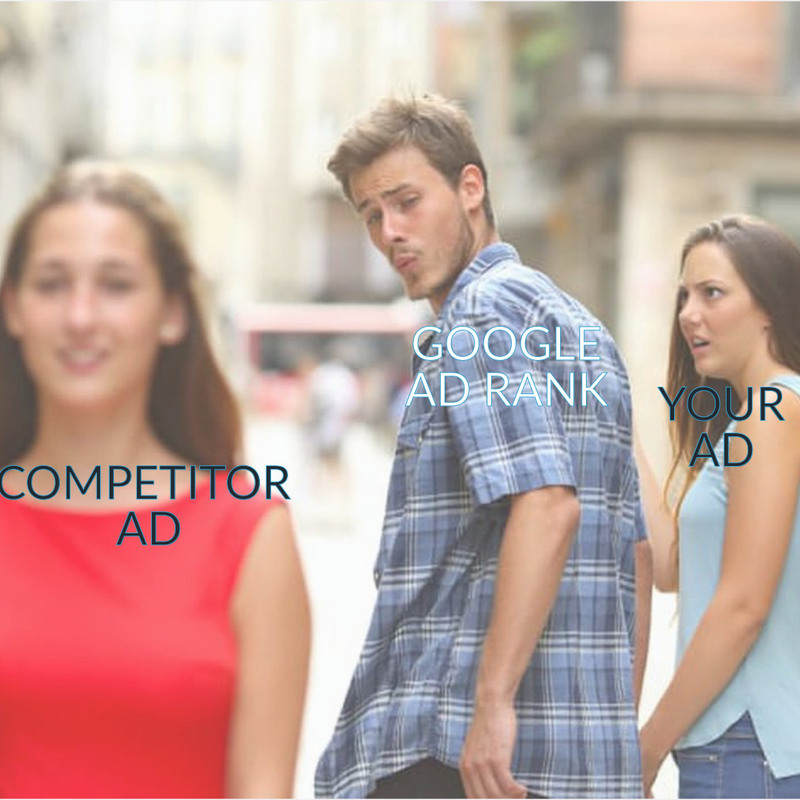 whichever keywords you're targeting. This may sound like common sense, but if Google need to spell it out, then we probably should too. If your landing page has nothing to do with your advert or vice versa then Google will reduce your Ad Quality score, you will have higher bounce rates (people leaving your site) and your Ad Rank will go down, meaning that your advert may not be shown at all. On top of being relevant Google likes original and useful content. Duplicated content is a big SEO no-no, so ensure that anything you build is targeted to your audience (and the buyer persona). In addition, your landing page will need to work to your advert. If you're targeting people who are at a consideration stage of purchase they may want a product comparison or overview rather than knowing the specific details of a specific product. Conversely, when someone uses a search term (keyword) of "Toyota MR2 2001" at a Decision stage of purchase they're not going to be interested in anything to do with Mazdas. Of course normal landing page considerations apply too, such as being mobile friendly, fast loading, easy navigation and a clear call to action. Depending upon how many Adverts you want to use, your Google Ads dashboard and campaigns may start to become somewhat confusing to other people but possibly to you too! There are a few ways that you can make sure that this doesn't happen and therefore increase your speed and accuracy from the beginning. The first point is to keep similar products or offerings in the same campaign. For example if you're selling clothing then we could setup a campaign for Jackets and another for Bags. Under those campaign headers we can then setup separate adverts for Leather Jackets and Peacoats under 'Jackets' and Clutch and Backpack under 'Bags'. Not only does this give you a great amount of control to administer the different ad groups and their keywords but it also allows the opportunity to improve your analytics of each. The second point is to run separate campaigns for promotions. Are you planning to run a specific campaign for Valentine's day or for Mother's day? Keep that under a 'Mother's Day' campaign with different adverts underneath. Finally, it's good practise to label the separate campaigns something 'clean' i.e. something obvious. If you're running the Valentine's day campaign for 2019 mark the campaign as that. Keeping your naming conventions clean and simple through-out your processes in general will go a long way when you're busy, under pressure and when you start scaling up. Unless you're extremely lucky, in a super niche market or a PPC whizz you'll likely have some competition for the keywords you're targeting. For better or worse, this is what Google is counting on so that you pay more for Clicks. However, they do want you to be seen and therefore receive visitors from your adverts. So a cautionary point here: the Highest Bids do not necessarily mean that you'll be the top advert shown! I hear you saying "But surely if I pay more then I'll be seen more?". Sorry to break it to you but no. Every advert, including yours, is ranked by a few different criteria to work out what Google calls an Ad Rank. Let's hit the relevance part of this first. Google wants to show their users the most relevant content to their keyword search. Not only does this make good business sense for Google's customer retention strategy, it also means that advertisers are getting what they paid for; namely relevant traffic that has a chance to convert. So what do we need to do? Well, your advert and the landing page that it relates to must be relevant to each other and to the keywords being targeted. There's no point having an advert about "cheap flights" and a landing page about "top 10 hotels in Greece" whilst targeting a long-tail keyword search of "cheap car rental in Australia". An exaggerated example but you understand. 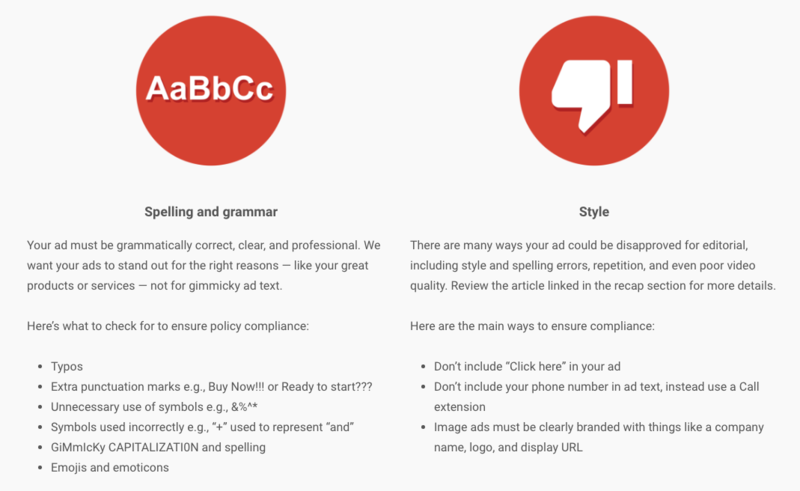 As previously mentioned, Google's systems check every ad before it goes live to check it accords with their copy guidelines but also to establish a Quality Score. Read 'Quality Score' as relevance. A High Quality score means that Google has calculated the quality of your ad and landing page and the relevance and usefulness of the content aligned with the keywords being targeted. This will effect when, how often, and where your ad is seen - if at all. You're Quality Score is shown in your Google Ads account by keyword(s) and is rated 1-10. The next factor is the format. This one's easy; is the ad viewable where and how the user is searching. Text ads on Google's main search page will be ranked higher than a video or image for example, whereas a text ad on YouTube is unlikely to show. The other part of this is the Extension caveat. When you create an ad, you're given a chance to add additional information like a telephone number and/or other landing pages/links. These are your ad extensions and how these impact the ad's performance are added in to the calculation too. Finally, the click likelihood is calculated based upon the context of the user's search, the time they searched, the device, location, terms used, other ads, organic search results and historic activity. The algorithms assess how likely it is that this user will click the ad and then adds that to the final outcome - the Ad Rank - and therefore the ad position (in the page). If these all align and you Ad Rank is high enough for the keyword then your ad will be shown and will, hopefully, lead to a new visitor to your site and a potential new customer. 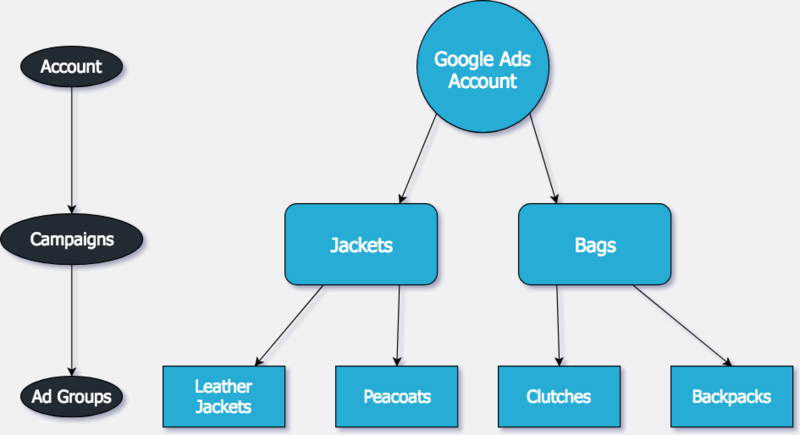 Google assesses all of these factors every time your ad is eligible to be seen. So if yours is not being seen as often as you think it should be then it may be time to adjust one, some or all, of the 5 factors mentioned. For better or worse, pay per click advertising is a beast of many factors and some people spend all day every day becoming specialists in this area of advertising. You know what they say, practice makes perfect so grab a cup of tea or coffee and start delving in to the world of Google Ads. If you would like some further assistance in regards to Google Ads then feel free to get in touch and we can recommend some PPC specialists who can help.